Wholesale electricity prices across Europe have recorded an unprecedented increase between 2017 and 2018, and could have a significant negative impact on European economies. Interestingly, in France, a country where nuclear accounts for a major share of the energy mix, the rise in prices has been lower (+32%). This compares to Germany – currently phasing out nuclear – where the rise has been significantly higher (+87%). Having nuclear as part of the energy mix helps to stabilise electricity prices as its fuel source, uranium, is abundantly available and its price has little impact on production costs. Furthermore, with COP24 right around the corner, a decision to invest in nuclear will show that Poland is committed to reducing its CO2 emissions in accordance with the Paris Agreement. At European level, the European Commission is expected to set a strong decarbonisation target of up to 95% by 2050 in its strategy for long-term EU greenhouse gas emission reductions to be issued on 28 November 2018. Investing in low-carbon nuclear will enable Poland to reduce its CO2 emissions and other air pollutants (e.g. NOx and SO2), whilst ensuring people and industry have access to the electricity they need, when they need it. And all of this at an acceptable cost to consumers. These are the conclusions of a high-level meeting on day 2 of World Nuclear Spotlight Poland, which brought together stakeholders from the Polish nuclear power programme and the Polish Ministry of Energy, as well as World Nuclear Association and FORATOM, the voices of the nuclear industry. About FORATOM: The European Atomic Forum (FORATOM) is the Brussels-based trade association for the nuclear energy industry in Europe. The membership of FORATOM is made up of 15 national nuclear associations and through these associations, FORATOM represents nearly 3,000 European companies working in the industry and supporting around 800,000 jobs. About WNA: World Nuclear Association is the international organisation that represents the global nuclear industry. Its mission is to promote a wider understanding of nuclear energy among key international influencers by producing authoritative information, developing common industry positions, and contributing to the energy debate, as well as to pave the way for expanding nuclear business. 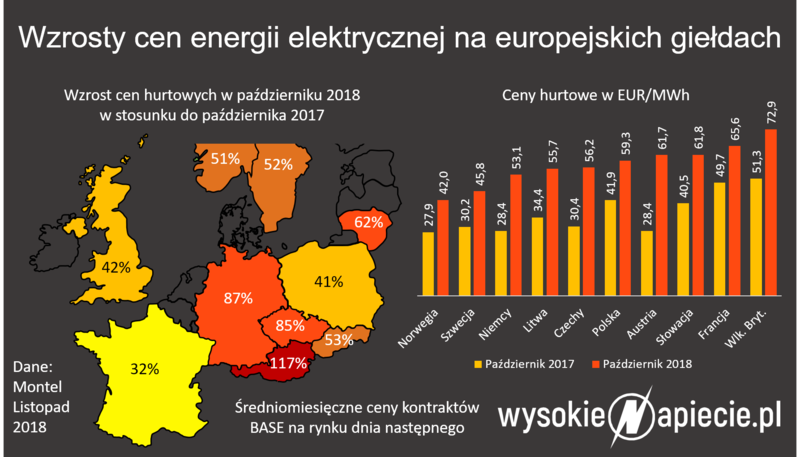 About Ministry of Energy: The Ministry of Energy is the office of government in Poland responsible for energy policy and the management of mineral deposits. For more information, please contact Jessica Johnson: jessica.johnson@foratom.org.